One week from today, “Turn Up the Value” officially releases on #GivingTuesday. 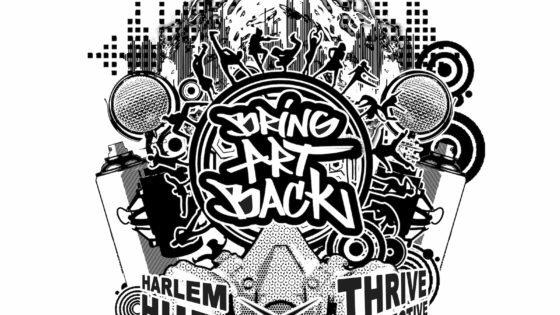 Please consider giving a year-end investment in arts and music education at the Harlem Hub. Every dollar given for this campaign supports ongoing opportunities for Harlem Hub students to write, design, choreograph, and produce beautiful change in their lives and their communities. 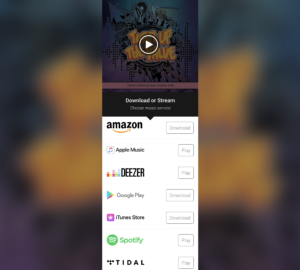 Download or stream the song. Our music students would write and record an original song. Our media students would produce the music video for the song. Our dance students would develop and perform choreography for the video. And our murals students would paint a mural that would be featured in the video. The result: “Turn Up the Value.” The song calls us to be more and do more to achieve justice for all. We pursue justice in all its forms – social, economic, criminal and health – as we enhance the value in ourselves and others. 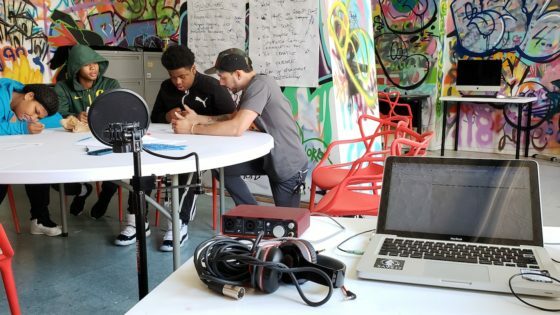 Based in Central Harlem, Thrive Collective’s Studio Arts programs provide Murals, Music, and Media production at the new Living Redemption Youth Opportunity Hub collaboratively with Community Connections for Youth and support from the Manhattan District Attorney’s Office’s Criminal Justice Investment Initiative. We help manage the 7,200 square foot floor as the creative space on behalf of the Harlem Hub, and facilitate arts programs directly and with contracted providers.